For a third year in a row, all these statistics and numbers add up to one thing: the LOVE YOUR HEART RECIPE RALLY. A day when a group of salt-loving bloggers offer up their valuable web pages and agree to take on one of the greatest challenges for a cook: cut back on the salt. All were tasked with taking a favorite dish and transforming it into something low-sodium, without sacrificing look, flavor, or enjoyment. Giving all those other flavor-makers, from a squeeze of citrus to a sprinkling of spice, a chance to shine. And proving that low-sodium food needs no apologies, just second helpings. But why did these healthy individuals take on such a challenge? 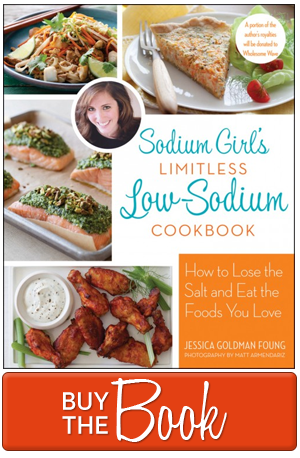 This month is Heart Health Month and today is the official release date of Sodium Girl’s Limitless Low-Sodium Cookbook. And while low-sodium diets definitely benefit those with health needs, remember: the average daily sodium intake for Americans age two years and older is more than DOUBLE the recommended level. So everyone can stand to cut back. Plus, eating less sodium all boils to down to eating less processed foods. And that means eating whole foods and eating well. It means understanding what you’re putting in your mouth, stomach, and body. Taking time to look at labels. Showing your pepper and sweet potato respect by roasting them. Swapping convenience for cherished time at the stove. Inviting others to experiment and enjoy with you. And not being afraid to take an old recipe, twist it, and make it personal. On top of all that, low-sodium food, fueled by creativity, can be way more than just healthy food. It can be jaw-dropping delicious, inventive, and crave-worthy food that doesn’t just stand up to its salty counterparts, but potentially, outshines them. That’s what the Love Your Heart Recipe Rally is all about. A group of amazing bloggers inspiring people to eat well and to feel well, one recipe at a time. Aren’t you excited? But wait, it gets better. Because beyond these dishes, there is something else exciting. A chance to win your very own Vitamix — the sports car of blenders. Why Vitamix? Because with its different blades and endless recipe ideas, you can create everything from salt-free soups to dips to spreads to breads in your home. It is a powerful tool of creativity and creation. And it not only allows you to take your low-sodium meals to the next level, but it makes cooking low-sodium food as easy as one, two, three, dishwasher. And you know this is something I adore. So after you read all the salt-free recipes and you get motivated to make your own salt-free makeovers at home, be sure to enter the Rafflecopter giveaway for your very own blender of inspiration (aka Vitamix). The giveaway begins today, Tuesday, February 12th at 9:00AM PST. So when the clock strikes 9:00, simply follow instructions on the Rafflecopter Widget below to get started. There is a mandatory entry action which, once complete, will unlock EVEN MORE optional entry actions, each gaining you MORE chances to win. The giveaway will close on Monday February 18th, 2013 at 12:00AM PST. Winner be notified by email and announced on this blog and the Rafflecopter widget on Friday February 22nd. All rules and regulations can be found at the end of this post. Now that we have all that covered, help me welcome this year’s Recipe Rally Participants. Show them some love with Tweets, Pins, Facebook messages, or just an old fashioned clap. They truly deserve it. And with that…ready, set, RALLY! Foodie Crush: Sweet and Spicy Popcorn. NO PURCHASE NECESSARY. Winner must be a US resident in order to win. Winner will have 48 hours to respond to email to claim prize before another winner is chosen. The name of the winner will be announced on SodiumGirl.com and the Rafflecopter Widget once the giveaway has closed. In the event the Sponsor (Vitamix) fails to send the prize, the Host (SodiumGirl.com) and all Participating Hosts (Participating Bloggers) will not to be held responsible or liable in any way. This promotion is in no way sponsored, endorsed or administered by, or associated with Twitter or Facebook. Complete terms and conditions can be found within Rafflecopter Giveaway Widge above and here. Giveaway and photos provided by Vitamix. I, Sodium Girl, was provided a Vitamix product as part of the giveaway promotion, however all thoughts and opinions are my own. Those are some scary stats! I hope more people learn to flavor foods with herbs and spices! They really are wonderful! when does the giveaway begin?? Wonderful giveaway! Despite my healthy lifestyle I inherited high blood pressure, this website is extremely helpful for those on low salt diet. I want a makeover of vegetable soup! My grandma loves fried shrimp but is on a low sodium diet so I would say that! I would love to know how to make a good French fry minus the heavy salt! I’d like a makeover for gumbo or jambalaya. I would want to make over mongolian beef – so much sodium! I’d love to make over steak. Once my husband and I started eating less sodium due to his hypertension, I can hardly eat steak anymore. It’s been way too salty every time I”ve had it. Wow, this is really great! I hope I win! I’d like a good selection of salad dressings that are low sodium or sodium-free. They always taste better with salt, it seems! Fettucine alfredo– salty and fatty, but so good! Thank you for the interesting statistics! I am very shocked! I would love to make over the traditionally salty Potato chips. I LOVE YOU and so honored to be in this rally for you. So happy for your beautiful life and your health and to call you one of my best friends. 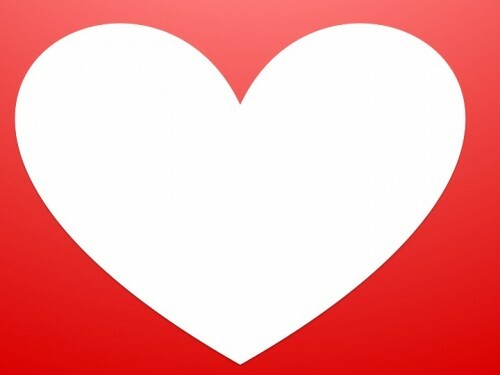 Love you always and forever (even without sodium)! My roommate has a history of high cholesterol in her family, so I tend to add as little salt to foods I cook as possible. And we always buy low sodium. That’s one of the key things we look at on ingredient and nutrition labels. This is awesome! Such a good reminder to cut back on salt intake! I really wish there was a makeover for mac and cheese but i just don’t think it’s possible. I tried the cauliflower white sauce suggestion but it was not my thing. I haven’t got my copy of the cookbook yet so i am praying there is one in there. I’d love to figure out how to make-over chinese take-out foods (esp. sesame chicken) without so much salt! I want a makeover of chili! I would like to make over my Gluten-Free Tator Tot Hotdish recipe! Lasagna especially, but many Italian yummies have too much sodium for me these days. But I love Italian food! I would want to make over tacos! Gosh, what *wouldn’t* I like to use less salt on? I ADORE salt. Salt is life. Sigh. But yeah, I should try a little less. I used to put tons of salt on meat – but I’ve recently adopted a vegan diet, and now…I find myself salting everything less. No meat, less to salt. Ooh, maybe baked potato? Buttery, sour-creamy (non-dairy), with scallions and SALT. And french fries. Hash browns. I see a theme here 🙂 POTATOES! Low sodium pickles and olives! I’d love a makeover on mashed potatoes – despite adding salt, they also seem to need more… why do potatoes do that? tacos… i love tacos, tostadas, taco salad… but taco seasoning has so much sodium in it. i would love a recipe for a taco seasoning that tastes like tacos without the salt. thanks so much! I want a makeover of sesame chicken! I’d love a less saltier chili recipe! I would love to make over any kind of soup!! I hate how canned soups are so full of sodium, so I would love to change that! I would love to remake my soup recipes in low sodium – especially saurkraut soup! I want a makeover of asian stir frys. I’d love a makeover mac & cheese! I would makeover a classic Chinese dish that I make: black bean ground beef and tofu over rice! Thanks for the giveaway! I ‘d like to makeover my Pad Thai recipe. I use Tamari, which has less sodium, but then the flavor is lost. Luckily with a vega, gluten free diet lowering sodium intake is not to difficult! Homemade chicken and noodles over mashed potatoes. They always need so much salt to make them scrumdillicious. New to your site, very interesting! Love those stats (even if they’re terrifying.) I want to make over a chow fun stir fry – Chinese stir fry dishes are way too salty! A potatoe gratin recipe I made that uses canned soups and grated cheese. It’s yummy, but uses frozen potatoes too. I learned that celery is the worst for sodium….it’s like a sponge that sops it up from the soil. I’d like to revamp most soups! I would love for you to makeover tamale. Thank you! Wow. 1 tsp is the daily limit? That goes by fast! Nothing like cooking at home and controlling the salt content. I haven’t eaten olives in a long-long time because they’re so salty! Has anyone else figured out a way to use olives without killing our daily sodium content? Or is this just a lost cause? I would love a less saltier french onion soup. Can’t wait to try your buffalo chicken spice recipe! I would like to make over fried chicken…usually has too much salt. I would like a baked potato make over! oh so many soup recipes! I would love to find a makeover for pizza! Oh, man! Do I have to choose only one thing I’d make over!! Ok.. Let’s go with stir fry! On a night I need a quick easy dinner I take any veggies I have that need to be used. Mix up some soy sauce & honey with some noodles or rice. Easy Easy! BUT, between the salt/seasonings I use to just make the saute veggies, then the amount of soy sauce mixture it takes to get a good flavor is really depressing! Sometimes I’ll use a low sodium veggie bouillon, but those are hard to find around these parts!! I would have to agree with the previous poster, tacos! We eat them often in our house and the seasoning is very high in sodium. Definitely potato chips or popcorn!! I would love to makeover Taco seasoning! I’m new to your site, thanks to Jenny @ Picky Palate! I came over to enter for the amazing giveaway & I’m pretty sure I’m hooked! With 3 small kids my husband and I are trying all kinds of healthier options! Thank you so much for all the amazing info! I’ve tried to cut salt out completely, I’ve noticed that my food is slowly getting spicier with more use of the cayenne…. I recently started tracking my sodium intake and I was blown away by how much sodium there is in things I wouldn’t imagine! It’s made me way more aware of it. Like canned tomatoes and beans. The recipe I would like to makeover is chili, because when I make it I used a can of diced tomatoes, and a can each of black beans, kidney beans, and pinto beans. Avoiding the canned stuff would greatly help reduce the sodium. ORdered himilayan salt, should be fun to try! I’ve been making “the switch” since early January to help my husband reverse heart disease. Already, we have seen a marked difference in my husband’s health. I want to makeover oven fried and baked steak. Every recipe I encounter for this type of steak dish calls for copious amounts of salt. I will admit, since I drink so much watch I never pay attention to sodium, but even though my blood pressure is low now, my family history says I should be watching it. Thanks for the wake up call! in college, i may or may not have been known as “sally mcsodium”… okay, so i kind of have a salty palette. but i’m working on it! the dish that i would most like to make over is an individual “chicken” pot pie… not only because it was my most notoriously salt-heavy dish back in the day, but also because in the last few years my diet has become primarily plant-based, and i’d like to veganize this dish as well. 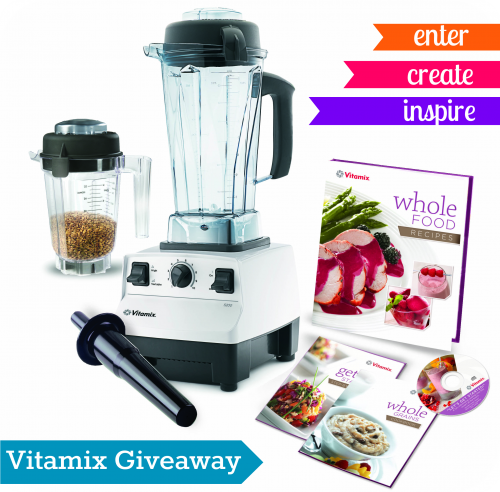 i’d LOVE to win the vitamix… my nut butter/flour and smoothie-making capacity would increase dramatically!!! I would love to make over breakfast sausage! Potato chips or french fries! I’d like a makeover of General Tso’s chicken. Thanks. I would love to redo mac & cheese. My dad had high blood pressure, so I grew up with my mom cooking low sodium recipes. But I do put salt on my scrambled eggs and some types of potatoes (like french fries). Thanks for the generous opportunity! I would love to see some soup recipes, and homemade potato chips! I want to make over Mac and cheese! any dish with soy sauce, like teriyaki chicken. even low sodium soy sauce is still super salty. I always feel like I use so much salt in mashed potatoes. I would love to make over cioppino!! Popcorn. I would love to explore new ideas for topping popcorn. Lots of butter and salt is definitely not good for me or my kids. I want to makeover lobster bisque! I would love to make over a simple chicken noodle soup. If I don’t add tons of salt, it feels bland. Chicken & Veggie Fried Rice! I’d love for friend rice and stir fry to get a sodium makeover. I would like to makeover lasagna and vegetable soup! any asian dish with soy sauce. we eat a lot of pink mineral salt around here which is so good for you but I cringe when I have to use a product to make a dish that already has the nasty white salt added in- especially in ounds like soy sauce. Wow! Those are some crazy stats. I had no idea about most of them. Thanks for sharing. I’d like to make over this chicken prosciutto dish that I make, but notice it requires a fair amount of salt to be flavorful, plus the salted prosciutto! I would love to see a lower sodium version of Chicken and dumplings! Homemade Tortilla Chips gets my vote! LOVE my chips ‘n salsa. I love that you’re posting all these recipes! Thank you! I’d like to makeover Tofu stirfry, ahh the salt kills it for me! I adore soups but I always go so heavy on the salt! I want to play around more with strong spices and super flavorful veggies to cut down on the sodium. I would love to makeover chicken wings! I would love a low salt makeover for shrimp and grits! I would love to make over Chinese food! Love to eat it but the soy sauce is pure sodium! I want to make over salty vegetable soup! Oh man, I don’t know if I could pick just one thing, there is so much salt everywhere! There is nothing more satisfying than a salted caramel treat, if there were a way to mimic that without the salt I would be in trouble! soups! most soups have so much sodium! I would love to make over some tasty french fries with alternatives to salt. I would love a makeover of Mexican chicken soup. Thanks for all the info! Interesting facts! Let’s figure out a way to take some of the sodium out of soups! Stir fry dishes need a makeover! How about a breakfast cereal alternative or make over, maybe some favorite sauces like ranch dressing or mayonnaise. Low-sodium vegan “cheese” would be awesome! what a fun giveaway! I don’t eat low-sodium for my heart, it’s for my kidney, but I love how reducing your sodium intake makes the flavor or food actually discernible! I would love to see a makeover for fettucine alfredo with either an alternative to salt/butter or a way to cut down on it without sacrificing flavor! I would like to make over a salad dressing, full of flavor with less sodium. Chicken noodle soup, is it really possible? I would love to lower the salt in my Black Bean soup. I would like to remake my 14-Day Sun Pickles with less salt! I’d love a makeover of Pad Thai that still tastes delicious! Hmmm….I’d love to salt-free lasagna, nachos, minestrone, all kinds of things! Thanks so much for all the great low sodium recipes and advice. I would love to makeover a pot roast without having to use the cream of mushroom soup and the onion soup packet. So salty! Eww. Stir-fry. The soy sauce is out of control and even when you use the light sodium it’s still pretty high! Big soft, fluffy pretzel with cheeeeeeeeese! Yummy salt-less makeover! love the recipe and like every one else love to win. I’d like to come up with a low-salt Teriyaki sauce! I would love to redo a soup! Most are filled with sodium! I would love Alfredo sauce made over. I would love to make over salted nuts such as ground nuts, pistachios etc. Yikes! Can’t believe those numbers! Can’t wait to try some of your alternatives! I want a makeover of vegetable soup…. I dont use a lot of salt in cooking as is, but a little sea salt is good for you. So I really do not have a recipe I would want to revamp from salt. I want to makeover taco soup (with or without meat). All the taco seasoning makes it too salty. But I’m not sure how to season it to get the same flavor without using taco seasoning packets. Thanks for the opportunity. I love to cook mexican food and my husband loves to cook asian food. Definitely need to work on alternatives. Tomato soup with grilled cheese would be nice to indulge in without the high sodium content. Or really any soup; pea soup is one of my favorites, but it’s loaded with sodium. Pretzels! I wish there was a way to add salt but not TOO much. Hmmm…a makeover of vegetable soup would be great! I want to make over stir fry! There are tons of soups and stews out there that could use a soduim-reduction makeover! Chili may be at the top of that list. Would love to see a makeover of pad see ew (not sure if I spelled that right)! The first thing that comes to my mind is popcorn. It’s difficult to make a good batch without using a lot of salt. I’d love to makeover my stir-fried cabbage recipe. It has loads of soy sauce! I would love to make over fried rice! It just doesn’t taste the same without use salt or soy sauce, and even the low sodium soy sauce has an insane amount of sodium! I find stir-fry/asian dishes way too salty and would love some low sodium recipes. Big-fat- soft-pretzels. The salt on the outside is the best part! What’s a good alternative? I want a remake of potato chips. Love them. I would like to makeover tomato sauce! I would absolutely love a yummy makeover of my favorite comfort food….potato soup with dumplings! It is a childhood favorite that I have lived without since going low sodium. I would love to have Chicken Noodle Soup transformed! I’d love to see a makeover for popcorn! It just never tastes as good without salt! I’d like to make my sour dough bread with no salt but tastes so flat!! Help!! I’m thinking cashew chicken. Love it but don’t love the sodium! Salt and vinegar chips were the first thing to pop into my head when I read that question of what I’d like to makeover. The salty goodness and acidic vinegar flavors are so good together! It would be nice to add in something like rosemary and garlic, or maybe a sweet golden balsamic and sundried tomato version of the classic potato chip sliced thin, baked up healthily and enjoyed with homemade hummus or all on their own. YUM! I have never liked the taste of salt. The only thing that I love it in is salt and vinegar chips. I would love to prepare soups with lower sodium. Thanks!! I would like to find a way to makeover anything “Buffalo” seasoning related – hot sauce, buffalo seasoning packets have SO much sodium in them! I would love to see a baked french fry or home made chip recipe without all the salt. My husband and I don’t add salt to most everything we cook, mostly because some of the ingredients already have salt in them like condensed soups, sauces, etc. I would love to figure out how to make good Chinese food without all the salt though. And I have a gigantic weakness for french fries….is there such a thing as reduced sodium fries??? I have become addicted to air popped popcorn with coconut oil, nutritional yeast, cayenne pepper and….Himalayan pink salt. I would loooove to find a substitution for that salt. It is really the only salty food I eat since I prepare my own fresh foods. how can i pick just one?!? 🙂 definitely mashed potatoes, eggs of all varieties, and soups. and chicken. and chili. Thanks for the giveaway! I would love to find a really good homemade chip recipe, that way I wouldn’t have to get the salty ones from the store. I’d love a remake of all those yummy Asian dishes with soy sauce, tamari, etc. that are LOADED with sodium!! I would like to makeover cucumber salad that requires salting to drain off the cucumber’s moisture. i want to makeover a soup for sure!! Oh man, I used to love love love my salt! Then I started to research and it is truly scary how much salt we consume without even realizing it! Now I try to substitute citrus for salt, but one dish that I would really like to make over is popcorn. It seems like even sweet popcorn recipes still need salt! Yikes! I would like a makeover of potato chips please! I think the saltiest thing I have had in a few years was Mongolian Beef, so Asian food in general with less sodium. I would makeover french fries! Because my lower/no sodium food search was started due to one of my 8yr old twin sons illness we would like to remake pizza & mac’n’cheese . what a great giveaway,thanks for a wonderful chance. Stir fry…I always feel like the salt just adds up more and more as I cook and taste. Thank you for all the great facts! I would love to makeover a yummy gumbo. I’d love for French Onion soup to be made over! All my favorite asian recipes are so high in sodium its awful. I’d love a makeover for macaroni and cheese, and meatloaf – heavy comfort foods! I would makeover any chinese food! Yikes! Salt is scary. The sodium stats on easy Asian noodle meals always make me think twice about buying them. Hard to believe 1 tsp is all we’re supposed to have. Mashed potatoes! They are pretty much awful without salt! I want to make over every asian dish, mongolian beef! So good but its so salty! Oh, I put sea salt on everything all the time! I use a lot of salt in my soups, so probably a good soup dish using different spices rather than salt to bring out the flavor. I would love to see more low-sodium snack foods like pretzels and chips. I would love to remake French Onion soup. I used to love it as a child and its way too salty for my adult taste. I would love to have a good lentil soup remade…Salt just makes it so yummy! I would love to see what alternatives could make it equally good! I’d definitely make over fries and French Onion Soup. I recently stopped adding salt to my meals, which was a big step for me. I was refilling our salt shaker about once a month; I would even add more when no one was looking! 4 months have passed and I’m doing much better, and would love some low salt recipe make overs! Korean soups are incredibly tasty and generally healthy, but they can be extremely salt heavy… I’d love to remake a low sodium kimchi cheegae! i sooo neeed a vitamix!!!!! 🙂 great giveaway, thanks!! Mexican food!! Love it all, but so much sodium!! I have been at war with salt for years…I actually don’t add any to anything I make. But I really wish people who produce canned goods wouldn’t put so much salt in things like tomatoes and beans; they really don’t need them! I want a makeover of soy sauce! So many great recipes call for it. I would like to makeover some of my favorite Asian dishes that have too much sodium. I would love to makeover Japanese food! I’d make over salt and pepper fried shrimp. A Chinese favorite! I’d love a low sodium stir-fry. With soy+miso, it really adds up quickly. I would love a low sodium salad dressing recipe! I just ran out of my store bought dressing and I’m thinking I want to try and make my own this time. I would love to makeover soft baked pretzels. The crunchy salt on top seems so crucial to the recipe! I admit I’m a salt fiend, but I would love to learn to live without it a little bit here and there. If there were a way to get a nice flavor on pretzels without too much salt, that would be great. I would LOVE to makeover chips and salsa to a fresher, lower sodium snack. I could eat chips and salsa all day! I would like to do a makeover oh my soup recipes. A dish I’d love to make without all the excess sodium would be mac and cheese. But how to accomplish this? I’d love to make a low sodium lasagna! I would like to try to find a good chicken tortilla soup. Every one I’ve tried has been too salty for me! I would love to have a stir fry remake! I would like to makeover chili and macaroni and cheese. I would like to make over pot-stickers! I would love to have chicken soup made over! I would love some soup recipes! Easily sushi.. well, really soy sauce. I love pretty much giving my sushi a soy sauce bath.. but I can’t help but think of all that sodium.. ick! I’d love a lower salt version of salt and pepper shrimp. heuvos rancheros! also, salsa in general! Definitely soups, as most are way too high in sodium & don’t need to be–especially if you use fresh ingredients, they sing on their own! Awesome giveaway! I would love to makeover french fries and be able to control the salt content, as well as the deep-frying aspect of it by baking it. I’ve noticed that my comfort foods could use a sodium makeover. For example, homemade chicken and dumplings. I’d love to have an easy makeover for chili (or any soup that has a lot of beans from cans). I KNOW I can cook my own beans, but “ain’t nobody got time for that!” hahahaha!! Is there an easier way??? I would love to make over my miso/thai stir-fry. I love miso, but it is a little too salty. I really would like to make-over a savory Chinese dish. So many of them call for soy sauce/fish sauce or chili paste, etc. TONS of sodium in ALL of them. Split pea soup. I LOVE it but always feels it needs a ton of salt, I’d love to get a low-salt version to replace my doing that! miso soup! the sodium content is insane! I would love a French Onion Soup makeover! I prefer salty versions to sweet versions, so a makeover would be wonderful!! I would love a French Onion Soup makeover!! Macaroni & Cheese. How can you make it taste good without the high salt content from the cheese. Is it even possible? I second cutting salt in soups! Blackened chicken!!! I use a lot of salt on my chicken when I blacken it in the cast iron pan. Also I use salt on Kale chips and any sort of chips or crisps I make. I would want to makeover Mac and Cheese! I’d love a recipe makeover that lowers the salt on a soft pretzel! i love reading your blog! my family has a history of high blood pressure, so it’s always fun learning new recipes from you! Being a New Orleans girl I have already made of Gumbo with NO SALT – it’s better really. I would love to be able to make tasty low sodium chinse food. I know I have way too much salt with my food and really need to cut back this year. I’d like to make over french onion soup. I would love to makeover my favorite chinese stir-fry. I have been making lots of homemade pretzels (like you get at the Mall), except instead of using all that salt on them I have been using Herbs. They taste even better than all that salt on them. I will have to Blog these! I love soups – but some are just way too salty for my taste – I would love to reduce the sodium in a tomato basil soup. I am working on this myself-snacks need a sodium makeover as a whole! I quit adding salt to my cooking years ago and add fresh herbs and minced or roasted garlic – makes any meal delicious!! I wouId make over my daugher’s favorite potato soup. With all that chicken broth it has a lot of sodium. Thanks for the giveaway. I’d like to makeover sweet and sour chicken or other chinese meals. Love chicken noodle soup and lasagne, but not all of the sodium! I would like to make over chips. Is there such thing as a healthy less salty chip? I would love to try making a low-sodium version of a lot of soups, French onion in particular! Soup typically seems to be so high in sodium, which is baaad because I make soup once or twice a week. Just a plain old tomato sandwich in the summer without having to use so much salt would be great!!! I would love to figure out how to make sushi taste good but with less salt! Makeover mac and cheese? Probably not possible. I’d like to make over dishes that use soy sauce – I’m on a low-tyramine diet and can’t eat aged or fermented foods. I would love to makeover my broth based soup recipes! I’d like to try making over oven fries. I would love to make over the majority of Asian dishes. Soy sauce — even the low sodium variety — packs a lot of salt. Soy’s not that great either, for me. I’d like to see a makeover of a bbq sauce (homemade) that wouldn’t be a plain dry rub. I like my wings and such nice and messy with a good bbq sauce but I know the bottled brands are loaded with sodium! My son is big on Asian stir fries, would love to try to knock the sodium content down on those but maintain the flavor! I’d like to remake miso soup. I’d like to make over simple old macaroni and cheese. Between salting the pasta water, the saltiness of the cheese, and the salt in the white sauce, there’s a lot of sodium in there! I would like a makeover of mac and cheese! Gravy makeover- whit, brown, chicken you name it! Kristina – orange whiskey pulled pork in the new cookbook! I would love to do a stew makeover to lower the sodium. Seems like everything I put in it is salted first. I’d prefer to get all my salk from Salted Caramels!! Thank you for the chance to win this amazing giveaway!! Potatoes!! It’s so hard to make GREAT mashed potatoes without lots of salt. Believe it or not, many breads have tons of salt. I’d like to find a whole wheat bread recipe with less salt. I would say makeover for Asian food. Using low sodium soy sauce doesn’t really work! I would love it if you could makeover homemade teriyaki sauce…I make it using low sodium soy sauce, but even the low sodium variety still has a TON of sodium in it! Is there maybe something else I could use as a substitute for teriyaki that doesn’t use soy sauce? Please help! Would love to find a way to enjoy popcorn without salt! It’s my favorite topping — even prefer it over butter. I would want to make over chicken noodle soup or any chinese dish with less salt! I love to makeover pizza as a very low or no-sodium recipe! Little by little I’m experimenting with the different ingredients of pizza to perfect a good tasting but good for you pizza! I want to make over tacos! I would makeover fried rice most definitely!!! I’d like to make french fries less salty while keeping good taste! I love being able to use thing that I’ve grown like herbs and veggies. My girls love being a harvester. Thanks for the informative blog! How about a spinach artichoke dip? Super yummy, and I assume quite full of sodium. Chicken noodle soup… Sooo good but only with lots of salt! I have been wanting to get my hands on a Vitamix for years now, so I am really excited about this giveaway. As an added bonus I’ve found a blog that can be of a great benefit to me and I look forward to reading up. Thanks! This is hard for to say because unfortunately I love salt. So I guess if any recipe could be remade without it and still taste good, I would be all for it! I agree with the stir fry suggestions. I want a makeover for roasted chicken. I too would love to see a taco make-over! I think a makeover set of salt-free seasoning blends would be awesome! I always try different takes when it comes to meats and crockpot recipes. instead of adding salt and pepper i use adobo peppers, crushed red peppers or cumin! I love chinese food, but hate the high sodium. I always feel so horrible after eating it. I’d just like to know how to alter recipes to make lower sodium chinese. I would love to know how to make Chinese restaurant dishes at home that are just as tasty but without the MSG and other unhealthy ingredients. One of my favorites is Chicken Lo Mein. I immediately thought of soup! Last week I had a very salty pea soup, yuck! Mac & cheese and mashed potatoes. I would make over a good use on anything pasta sauce. Low sodium recipes are so needed in today’s society. Thank you! Alison- that is so funny! I just made a vegan, salt-free French dip a week ago for a friend…recipe coming! Chicken Noodle soup, always seems to be quite salty. It doesn’t need to be with plenty of fresh herbs and vegetables you are good to go. I would love a taco-seasoning that lower in sodium but still tastes just as good! I’d love to make over some potato chips. Great recipes and info! I’d love some low sodium pickles! I have a lot of soup and stew recipes that I would like to make lower in sodium. I’d love some reduced sodium soups and meats. I usually use vinegar for an extra flavoring but love other suggestions too. I wish pretzels can have a low sodium makeover! I love these recipe sites and am so grateful you people that inspire are willing to sacrifice your time! Thank you!! I would want to make over orange chicken or french fries! I have learn to eat my food just a la natural, we have both gotten use to it and now don’t add salt at the table anymore and I cut the salt in half when a recipe calls for it, or leave it out completely. chicken noodle soup—less salty but not bland! french fries and potato chips~2 of my faves but so salty! I just received your book and I can’t wait to get started making some of the recipes. My husband has been on a low sodium diet since having a heart attack two years ago. It hasn’t been easy for him nor for me as the cook. His running joke was “potato chips are a vegetable”. He still misses the salt but is getting better about reading the labels and making better choices. I’d like to makeover potato chips somehow. I’d like to makeover jambalaya. I love salt on my eggs … so, id love to know how to eat “salty” eggs without the salt! I would love to see a salt makeover with Chinese dishes. They have so much sodium in them – but I love them. I’d like a makeover for french onion soup. Soups..its always a hard one but I’ve at least started with low sodium broth! Stiry-fry. I love soy sauce but don’t want all the extra sodium that comes with it. I would love to make over mac and cheese. I think I would like to makeover Stir Fry or General Tso’s Chicken. I would like a makover of Mexican food! I’m not of fan of extra salty foods so I make dishes that are low sodium but I would like to makeover my sister’s mashed potatoes. They are so good but loaded with butter and salt. I would love to remake my soup recipes with less sodium. I don’t even know where my salt shaker is…. somewhere in the back of my cupboard? I really don’t like when people salt my food without even tasting it first! My kids tease me because I sprinkle hot pepper flakes on just about everything! Chicken and Dumplings, Spaghetti Sauce, etc. I know you asked for a salty “dish”, but I am more interested in condiments and other staple foods! I would like to makeover beef and broccoli! My family loves the slow cooked pot roast with onion soup mix and cream of mushroom soup. I buy the low sodium soup, but the onion soup mix is loaded with salt. I’d love to know what you would substitute in it’s place. Thanks! I would love an easy home makeover for Chinese food – it is loaded with sodium! Veggie burritos with lots of melty cheese and spicy red sauce. I want a sodium rewrite of the really basic things- what do you do when a standard dish is usually flavored with some fresh ground sea salt and pepper, and nothing else? Vegetable Soup. Seems silly it would be salty but to get the beefy flavor I add “better than boullion and it makes it a bit salty. I would want to makeover Chinese food. The flavors are so good, but they’re always so high in sodium. I have a little boy due in May and I want to make sure he is eating only the best foods from the beginning and to try and avoid giving him any processed foods. I know for a fact fact I over salt everything I think everything I cook needs a makeover my downfall is salted butter. I’m absolutely loving your site! My mom and I are always looking for ways to decrease our sodium intake because we always feel so icky and swollen after we eat high sodium foods! What an awesome giveaway! I would love to give veggie stir fry a makeover. I would probably say oven fries or many of the soups & chilis I make. I am a horrible salter!! My favorite salty foods are all pretty healthy, but if I had to pick one extreme indulgence, it would be mozzarella sticks! Soups! It’s so hard to find soups that aren’t loaded with sodium. I don’t know. I hate adding salt to anything. Gluten free soy sauce! Soy sauce in general is supper high in sodium, but if you’re gluten free there is no “reduced sodium” option. Ugh…double whammy! I would love to makeover restaurant style Chinese food! Makeover stovetop popcorn…. I add so much salt but it tastes so good! I would love to make over enchiladas and other mexican dishes! I am your newest follower. I just returned home from the hospital where I was being treated for atrial fibrillation. I must change my habits! I would like to makeover most Chinese dishes! I’m recently salt shaker-less and it seems most of the sauces used in Chinese dishes are super salty! I’d like a makeover of spaghetti meat sauce. I’d love a low sodium, gluten free tamari alternative (I’d really love it if it were soy free, but that’s pushing my luck a bit I suspect). How about a tasty meatloaf recipe! I ate salt-free for 2 years with no help1 It’s wonderful to find your book and recipes! Thanks so much for the ideas and flavors! 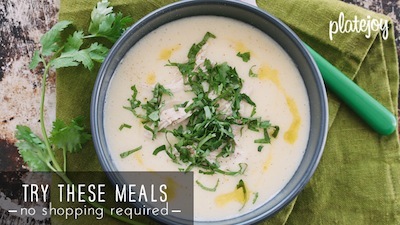 I would love to learn how to rescue bland soups without salt! Take-out style food. Sesame tofu definitely. I like your blog. I hate salt! We’re pretty good at watching our sodium intake…but I’d love to be able to cut out just a touch more from our homemade soups! apple pumpkin yogurt parfait. like, seriously? it’s a dessert. no salt, more cloves, cinnamon, cardamom–all that good stuff. My dad is a heart failure patient so my whole entire family pays attention to sodium, as everyone should! I think soups for the most part, a good spicy chili that’s low on salt would be good! Mmmm. Lasagna would probably be my top pick. i’d make over french fries! I’d love to makeover chips and salsa! I’d love to learn how to transform macaroni and cheese into a sodium-free, gluten-free, and dairy-free dish with awesome texture and flavor! A makeover for some healthy soup(s) would be nice, as many contain so much salt! I’d like to makeover dahl. Gosh, that would be the awesomest if I won! I try to eat low-sodium all the time. I use spices and especially love seasoning with garlic! I would LOVE to win the Vitamix to be able to experiment with new recipes and ways of flavoring recipes. A new year, a new me….wanting to get healthier and this would definitely help! I’d love a makeover of those salty nachos! I’d love to make over teriyaki sauce! Saltine crackers that are also gluten free! Nothing like a good saltine in tomato soup or chili…miss them terribly since going GF and hard to find a good substitute! I would love to have a huge bowl of chicken and rolled dumplings like my momma used to make, but without the salt. I don’t think the same ‘taste’ can be achieved w/o the salt? i would LOVE to make over any chinese food. mainly wonton soup. SO much sodium but SO GOOD. I would learn how to make gluten free soups with less sodium. Rachel, there are actually a ton now in stores with no-salt added! But I also have a recipe for homemade tomato sauce in the new cookbook. Check it out! Fried Chicken! It’s usually too much or not enough salt! Would love to have a Vitamix to help cut out the salt and make fresh dishes since I was recently diagnosed with cancer–everything I eat is changing! I’d do a makeover on fettuccine alfredo. If I could make a potato chip as good as Old Dutch Originals with less salt (and fat, frankly), I’d be in heaven. I’d like to makeover chicken pot pie. Thank you! Chinese food! How do you get the flavor of the soy sauce without adding all that sodium? Scary stuff! I don’t even like extra salt on anything but I know my sodium intake is higher than it should be. I love Indian Food! I would love to make my favorite dishes at home with less sodium. My Chinese stir fry that uses a lot of salty soy sauce. would love to see more option in reduce sodium chips! sometime you just like a snack and dont want all that salt!…espceally corn chips!! I’d makeover chicken noodle soup. The comfort food we all reach for when we’re sick needs a sodium overhaul! Jenna! It’s in the new cookbook. Check it out! Stir Fry. Please and thank you. Well it’s not so much a dish. Condiments are where it’s at for me, so I’d say hoisin sauce, and now I’m thinking about a good old-fashioned traditional stir fry, so let’s say that too. 🙂 Great post and giveaway! Love the team work from such an esteemed group of bloggers! I would make over fried rice. Don’t know. The salty food I’m occasionally addicted to is potato chips – but I’ve tried salt-free ones and they taste awful – bland and oily. I eat homemade oven fries instead – I posted the recipe over on RecipeGirl’s blog (http://www.recipegirl.com/2013/02/12/sweet-potato-fries-vitamix-giveaway/#comment-112611). Soup, maybe – amazing how much salt there is in some lentil soup recipes. And I’d _love_ to have a Vitamix, for soup and other things – my parents have one and it’s amazing. I’d have to say homemade soup. I would love to make over homemade tomato sauce. I find that I have to put in a lot of salt and sugar to make it taste good. Also, I would love to make over chinese food! This so very true, but few people want try unfortunately until something medical happens. Thank you for the facts that you included in the post. Most soup recipes, and a lot of chinese dishes. Would love to be able to make more low sodium sauces! My broccoli cheddar soup. I was stunned to find out how much sodium is in it. I don’t like the taste of salt, so I don’t use much of it. But potatoes in general, and mashed pots in particular seem to require huge spoonfuls of the stuff to make it palatable. I agree about switching up my favorite Chinese dishes! I would love to make over either miso, soy sauce or taco seasoning. I recognize that I am somewhat addicted to salt. I would love to have a remake of fried rice! I would makeover clam chowder or miso soup. I would make over our roasted sweet potatoes! I throw a bit too much kosher salt in and then add more when they are out of the oven. Would love to win a VitaMix!!! And Love your recipes!! The previous comments have pretty much covered all of the dishes that could use makeovers. Foods or dishes that I find are hard to eat without salt: potatoes, rice, and soup, but adding spices helps a lot. I rarely use salt at home. I wish there was a better alternative for movie theater pop orn. I would love to see salad dressing made over. I would love to make a good Chinese broth using less salt. For some reason everytime I try, it just doesn’t taste right. Any tips? Here’s another vote for french fires! From the time I was a little girl, mashed potatoes have been one of my favorite foods. As of late, I have been trying to greatly reduce the amount of dairy products I consume, so I tried tweaking the recipe my dad taught me (lots of butter and sour cream). Then, however, I ended up adding a lot more salt and pepper to give it flavor. I would love a recipe to de-salt and de-dairy mashed potatoes! Pickles, I adore them…but not the salt! I would make over fried rice! I would love to have a makeover for truly salt free soy sauce or Thai seasoning sauces. What a great cookbook. Yummy food made better for you. I like that! Jambalaya would be a dish that I would like to make over! makeover aminos so the sodium content is lower. Hi. Great blog and very informative post. I would love to make over olive tapenade. I use it to marinade chicken but it is so incredibly salty. Any suggestions on how I could make my own instead of buying it? Thank you. I would love to make over macaroni & cheese and have it taste good. I’ve gotten pretty good at low fat & very low salt cooking with lots of herbs, spices, citrus, etc., but mac & cheese is tough! Sodium Girl, you’ve been an inspiration! When my husband had to go on a no-salt diet before heart surgery, you helped make it possible and kept me from going nuts! I would love to make a low-sodium version of homemade soft pretzels! I use a lot of soy sauce or vinegars in recipes. Are there substitutions that are similar in flavor so I am using less salt? Soups, french fries, pizza, or anything Italian (esp. my fave Eggplant parmigiana)! I would love to make over soups and chili. I love using herbs and spices, but it is hard to get the flavors that develop when you add salt, without increasing the sodium to a ridiculous amount! Definitely soup! Also some stir fry recipes too! I would love to have a less salty, but still tasty, seasoning mix for ramen noodles. I’ve been out of college for over twenty years, but I still love those things. clam chowder–soups in general. luv soups! I want a makeover for Onion Soup with cheese covered French bread. How about low-salt French onion soup? I’d like a make-over of guacamole. It always seems hard to get the right taste if you don’t add quite a bit of salt. I am always looking for healthier versions of popular dishes. I have a couple personal chef clients that will love the Buffalo Chicken recipe. Would love to make over Mongolian chicken. I’d like to have some yummy Asian dishes made over, as well as homemade french fries. It’s hard to not put a lot of sea salt on my fries! I love corned beef and cabbage for St. Patrick’s Day, but it would be great to have a lower sodium made over version of it! Maybe I’m asking for the impossible but is there any way to make over Salt and vinegar fries? Soups. We use way too much salt in soups at my house. Those baked potatoes like they make at Outback Steakhouse. How could you get that delicious crustiness and flavor without the salt? I would love a makeover of our beloved Pizza! I love adding red pepper flakes or even a bit of cayenne to anything and it has no need for salt! PLEASE make over savory soft pretzels. I love them so much and the coarse ground salt is what seems to make it. I agree with Chely’s idea of making over soy sauce – even the low sodium varieties have too much for my doctor to be happy with me! I love salty foods! I’m always looking for an alternative but it has to taste good! I would love to give my teriyaki salmon a makeover, with a reduced sodium version! I’d love to learn how to make over corned beef and cabbage. This is one of my family’s favorite meals for St. Patrick’s Day, which is just around the corner, and I’d love to learn how to do it in a tasty meatless way! Tacos! Once I realized that I didn’t have to rely on packaged taco seasoning, our Mexican night dinners got better. (duh…) Thanks! I would love to makeover canned tomato soup–I love that flavor, but not the salt. Thanks for sharing all the statistics, really eye-opening! I would love to makeover sausage…and make it healthy and vegan too….if it’s possible! Any Chinese recipes are a big need in our house. My husband shouldn’t have salt, but he is addicted to Chinese food! I would love to makeover my pasta. I have to have salt to eat it but I would like to try something different. I don’t THINK I make too many salty dishes… but I’ll bet I do… I have a lot of reading to do! Thanks for your site! Most of the chinese dishes. Need a remake of my mom’s country fried steak recipe. I’d love to find more flavors for popcorn. I’d love to re-do soups! ANY KIND, but especially tomato & broccoli and cheese – two of my favorites. There’s a ton of hidden salt in those, but it makes the flavor really stand out! Anything with potatoes, I always use so much salt with them! I would love to see a makeover of Chicken Cordon Bleu. Yhanks for the give away and also for helping all of us that need low sodium diets. Love to see salt and vinegar chips! I would love to see a low sodium taco seasoning. Pad Thai all the way! I would like to make over Vegetable Soup. Sometimes to salty. I would love to make over Pad Thai! I love adding soy sauce to my dishes, and I buy a reduced sodium kind, but it’s still very high in sodium. So I would most want to have either a substitute or a way to cut it in half with another seasoning to use in my dishes. I recently started mixing my fried rice recipe to use less soy sauce by adding in sriracha sauce. The spiciness helps distract me from the smaller amount of soy sauce. I would love to makeover soy sauce, potato chips, and bacon! Would love to makeover my favorite Mexican enchilada dish! I love finding new ways to make Chinese food without all the added salt. Not much of a salt eater, but there are a few things I can’t or could not live without. There are my mashed potatoes and grits. I have found that putting cayanne pepper in my grits will do in place of the salt. But the mashed potatoes I still need lots of salt and butter. I would to find a way to eat them that I liked without so much of either butter or salt ( which the butter adds more salt). I would like a make over for minestrone soup. My daughter has a kidney condition and salt is obviously a big no no for her, so I would love to see her favorite condiment made over – ketchup, the one that we have found that has zero sodium also has zero flavor. I would love to give her something tasty that is also good for her. By the way, she is 3 so being able to dunk her foods is very important to her at this age. Wow, this is a great give-away. I hope I win! I read somebody in the comments section asking about ways to eat healthier popcorn. I would love to find more about that as well because every time that I make it, it ends up being a bomb of salt and butter. What are some healthier topping alternatives for giving flavor to my popcorn? There has got to be a better way to eat this popular snack! ANY SPICES! Try cumin and curry. Or dried dill and salt-free garlic. If you like spice, try a pinch of cayenne. Or for something sweet, use some cinnamon and sugar! One way to cut back on sodium intake would be to use a potassium salt instead of a sodium salt. Another way would be to exercise to the point of a heavy sweat. Since you lose sodium when you sweat, you can counteract a higher sodium intake with exercise. Just a word of warning: those on certain medications or with heart or kidney disease must watch their potassium intake as well. SO for these folks, salt-substitutes (which use potassium salt) is also something to watch out for. Jessica Goldman Foung: A New Look for Low-Sodium - Freshwadda Brooks | Coming Soon!